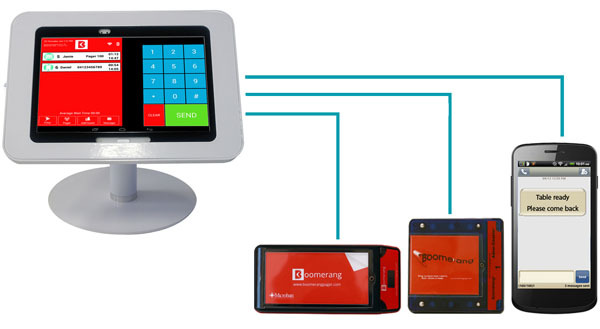 iFlex Q takes guesswork and stress out of customer queuing. Simply check your customer’s group size, quote them the current wait time, hand your customer a pager and they can enjoy themselves in the bar, on the boardwalk or in the surrounding shops. 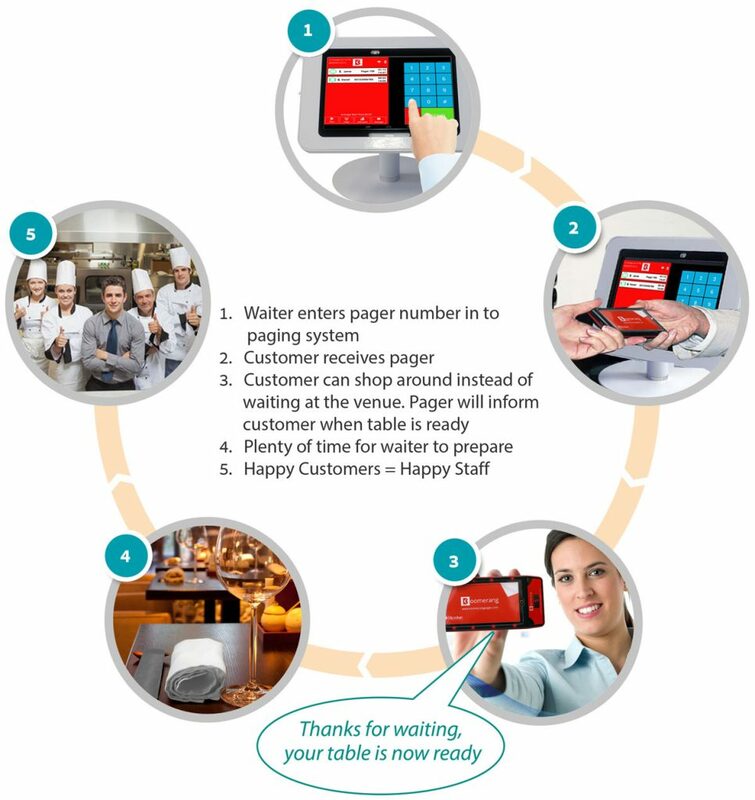 When your customer’s order or table is ready, simply page them through the iFlex Q console to let them know. iFlex Q will alert your existing Pagers or send a Text Message to Mobile network used for waiting for a table or when food order is ready. • They are the most durable and reliable pagers in the world! 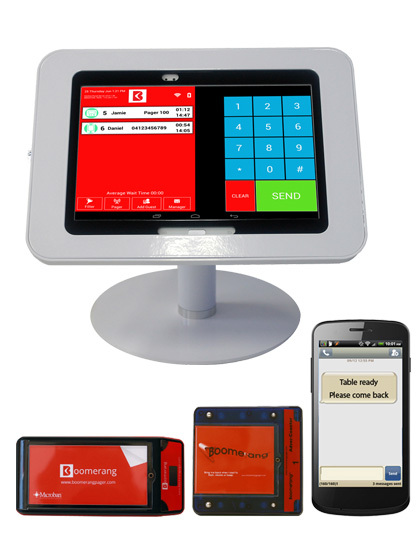 The iFlex Q system provides an easy way to manage your customers wait experience and provides inbuilt escalations to alert you when wait times start to exceed acceptable times. Important: Please note that all “On Premise Paging Systems” may require On-site Licencing and/or operational licence fees. It is the responsibility for the end user to obtain them. Please visit www.acma.gov.au for more information.